If you’re a parent with your kid’s happiness on your mind, keep reading for some inspiring self esteem activities for kids. Boosting a child’s self-esteem is about enabling them to have a positive self-image. This means that they need insight and understanding to who they are. 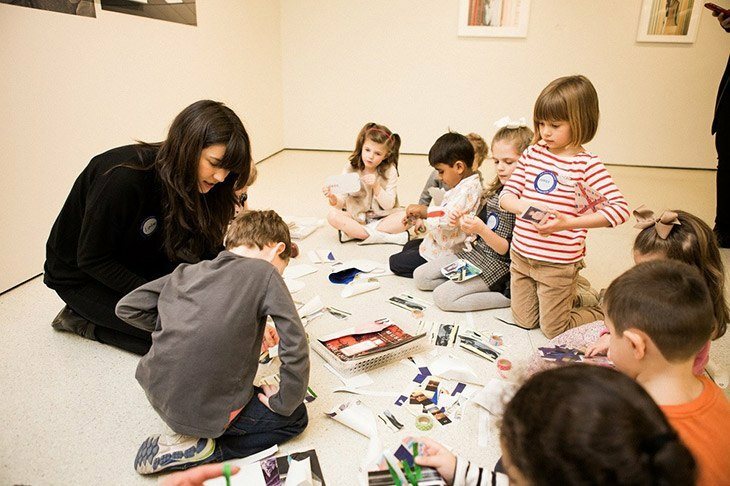 The Me Tree activity is all about helping children recognize their inner-selves and embracing the qualities they discover. This tree allows kids to be crafty and creative to their own level. On a blank piece of paper, whatever size, kids draw a tree trunk and branches. It can be as simple or detailed as the child’s artistic abilities allow. The important thing here is to boost your child’s self esteem and make them feel good about themselves, not criticize messy or uneven lines. 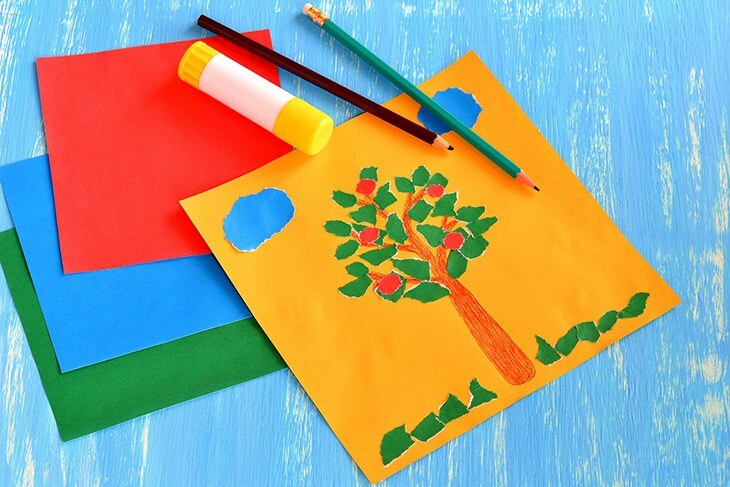 On each branch of the Me Tree, children draw or cut leaves from colored paper and stick them on the paper. On each leaf, the child writes a word that is something they like about themselves. Children may need prompting with vocabulary. Get them to describe the thing they like about themselves before giving them the word. This also gives way to you and your child to have in-depth discussions about how they see themselves in the world around them. During this type of activity, kids may ask you questions about yourself. This is a natural response. As children reflect on themselves, they also begin to reflect on the people who have an important influence in their life. Here you have the chance to be a positive role model and show your child how to self-reflect. Acknowledging what you like about yourself will help your child address the qualities they like about themselves as well. For mother’s raising a girl, it is fundamental at a young age to give them the foundations for a positive self esteem. Part of human nature is finding it difficult to accept compliments from others. If a mother doesn’t teach a daughter to accept compliments, she will inevitability have a harder time accepting what is positive about herself from other people. The mother-daughter self esteem craft can come in a range of forms. The basic principle of it is to have a mother and daughter sit down together and write each other compliments. This can be done in cards, drawings, sewing, etc. The point is for the daughter to accept compliments from her mother, and in return be able to pass compliments back. It is highly important in self esteem development for a young child to know how to both give and receive compliments and praise. Obviously, this activity doesn’t have to be strictly between a mother and a daughter. It can be done between mother and son, father and daughter, and so on. The key element is about sharing praise and positive things about one another. It is best done as a one-on-one activity for this reason. Self esteem is very much about self reflection and understanding what you stand for in society. This can be extremely difficult for children, as they are inherently ego-centric and the bigger picture of society is a foreign concept. Nonetheless, children do connect with emotive words and images. A core value collage is where children begin to associate their feelings and views of the world with words. By using old magazines, encourage your child to flip through and cut out any words and images that jump out at them and they connect with. Be sure to sit with your child while they do this. Here you have a really good chance to open up conversations about why your child chose that word or image and what it represents to them. You may find that your child can’t explain why they chose it. They may say something basic like they enjoy the color. It is up to you as a parent to analyze the word or image and think about what it could say about your child’s core values. Use this to guide the discussion. 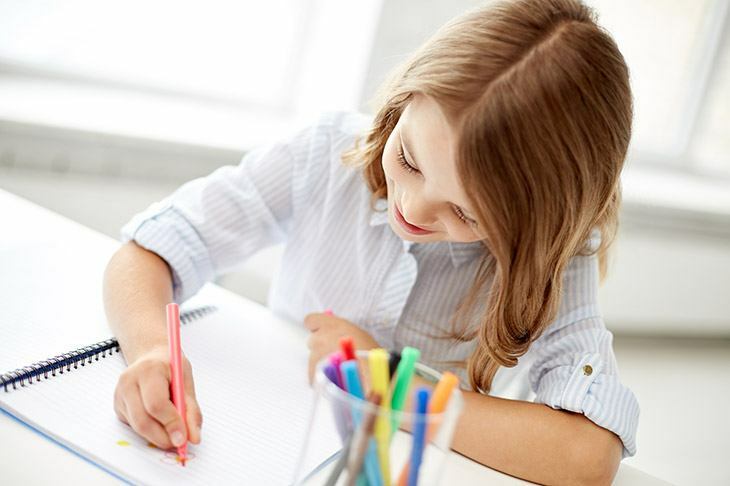 As your child collects words and images, paste them onto a colored piece of paper and get your child to decorate it. This is a gift that will keep on giving for your child. A Feel Good Notebook starts off as just a basic little notebook. Give it to your child, along with things to decorate it such as stickers and glitters. The first most important thing is for your child to take ownership of the Feel Good Notebook. Get them to write their name and put their character on it. Each day, whenever you have time, sit down with your child and the Feel Good Notebook. Consistency is best for kids so try to do this at a regular time, such as over breakfast or before dinner or before bedtime. Take some time to have your child write down or draw something that made them feel good today. Each day, this activity will help your child connect their positive feelings about themselves with the things that took place around them. They will begin to recognize what makes them feel good, and what doesn’t. This will enable positive self esteem development and self recognition in your child. A major influence in positive self esteem development is the type of language and vocabulary children are exposed to. There are certain words and phrases that you as a parent can use that will help your child develop positive self growth. These words and phrases are most effective when they are used verbally, as well as visually. Implementing a Positive Expression Chart is something that your child will see each day. This can be stuck on the fridge or hung in the bathroom. On a regular basis, you choose a new word to introduce or explain further to your child. The list goes on and on for positive words and phrases. They become something that your child is exposed to regularly, and the more you explain them, the more your child understands their importance. Keep in mind that these words and phrases do need to have meaning, which is shown by the action behind them. 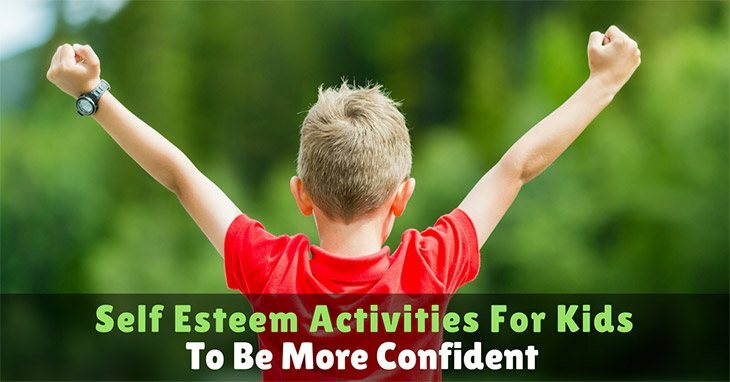 ​This list of self esteem activities for kids isn’t extensive by any means. Were there certain activities that jumped out at you and your child’s interest? Each individual child has their own personality, hobbies, and interests. This means that they are drawn to different activities. You understand your child the best so your parental instinct will make sure you guide them on the right self esteem boosting pathway. Let us know what self esteem activities your kids loved and why! Share any other ideas you have with us to help other parents out too.